Heat a skillet over medium heat. In a large bowl, combine all ingredients until smooth. 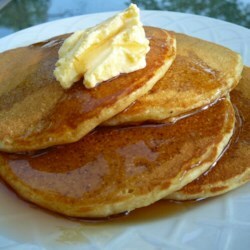 Pour the batter by 1/3 cup portions into a pan coated with cooking spray and cook pancakes until brown.